Did you know that a new bathroom can add up to 3% to your property's value? It's an investment with a guaranteed return when reselling that you can enjoy immediately. 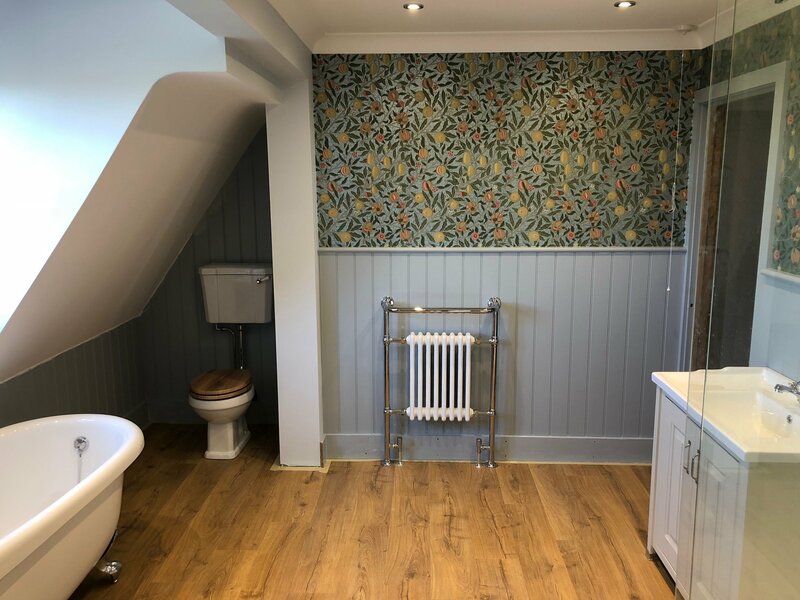 Our team of experienced bathroom fitters in Colchester, Essex, provide comprehensive installation solutions to help you create your dream bathroom or en-suite. As well as fitting your bathroom, our passionate and professional tradespeople can consult on design to ensure you pick the perfect suite for your space, or to create a bespoke suite that meets the day-to-day needs of your family. We work with a network of local bathroom showrooms and trade specialists, so you get the most for your money. All our home improvement specialists, including our bathroom fitters in Colchester, are fully trained, certified and insured to work on-site. We select every member of our team based on their wealth of knowledge and experience, which means you can trust us to provide you with honest and reliable advice and put your mind at ease. From plumbing, electrical rewiring, and tiling to painting and decorating, our building services are affordable and flexible and begin with a one-to-one consultation. After we’ve surveyed your space, we’ll provide an inclusive quote. Once you’re happy, our team can start the work. Bathroom refits take 1-3 weeks depending on the design. To discuss your project or to arrange a consultation with one of our bathroom fitters in Colchester, Essex, please contact us.